Honolulu is not about nail polish! Or advisors or jobs or anything!! Good grief there’s a lot going on in my life. I’m up to 3.5 job interviews (3 scheduled, plus a phone screening and we’ll see if they call me back). Medical fun-and-games (capital-T-Trying) proceed apace. (fingers crossed…) Health of the ancient declining feline continues to decline. My advisor yelled at me this morning (with followup more-yelling email 12 hours later), and I am like 95% certain that if he had listened to what I was trying to say it wouldn’t have happened. So I’m kind of seethe-y, which isn’t actually fun. I feel like I have so many things on my stack and so few hours right now. None of which is fun! That is like the definition of anti-fun! So let’s not talk about it. Let’s talk about Honolulu instead. 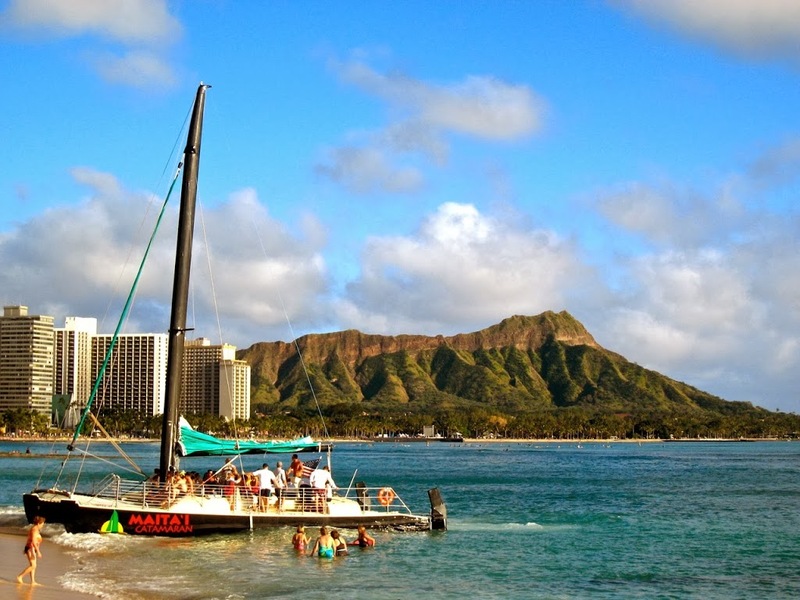 Honolulu is definitely, definitely fun! taking out to go snorkeling to see fish and sea turtles. Sea turtles, people. We (me and husband) are going to Hawaii! 😀 Not for very long, and not at a very good time. I’m frantic, he’s frantic, antique cat is declining, yada yada yada… but there’s never a good time. Never. The last (and only!) time we’ve gone someplace just us two was on our honeymoon. So… we’re going, poorly timed, poorly planned idea and all. Not surprisingly given the lead-in, this wasn’t really “planned” or whatever. Just before the holidays, United sent email saying our (many) frequent flier miles were going to expire shortly. Once I investigated, I found out that United was planning to gut their rewards chart in January anyway, and those miles would subsequently become worth a lot less. Also, Seattleites go to Hawaii. It’s, like, a thing. It makes sense; the non-stops from here are fairly quick and comparatively cheap, and when the sun hasn’t come out in a hundred years it gets very tempting. Since we’ll probably leave Seattle about 3.6 minutes after I graduate, we’re running out of time. Plus, did I mention, Honolulu? 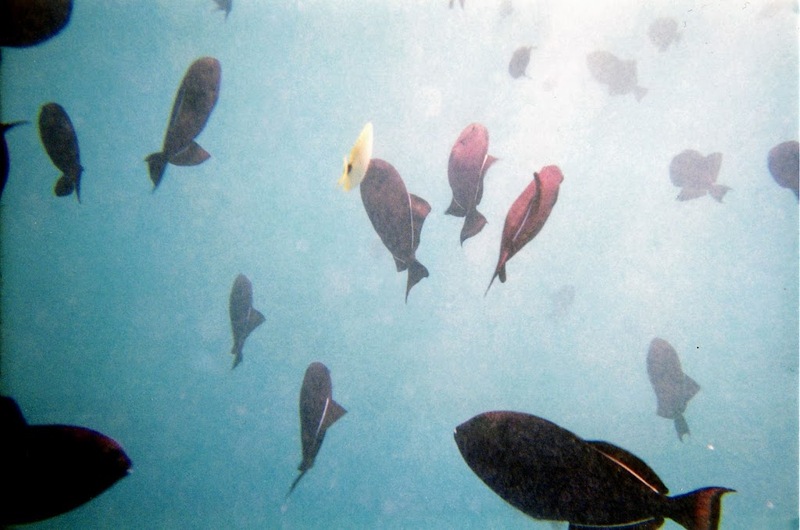 fishes because we are going snorkeling which I might have mentioned! Now, per my usual Research All The Things approach (and spurred on by husband’s unexpected excitement), I’m trying to figure out what we will do there! Snorkel. Eat. Hang out. Wear a lot of sunscreen. But look for detailed updates that are not about nail polish, because, Honoooluuuuluuuuuuuuu!